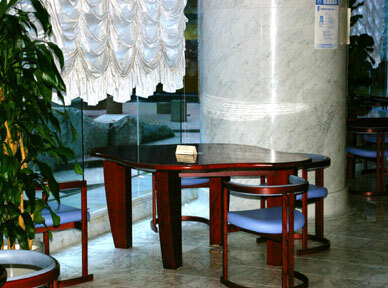 Chairs and tables have been arranged in our Browsing Area to afford you a comfortable atmosphere for reading newspapers and magazines. When you sit down, you'll have a view of the courtyard, designed in the image of rocks and waves with the "sea" as its theme. The Browsing Area has 35 newspapers on display for an internal period of two weeks. These include newspapers such as the Hokkaido Shimbun from the north of Japan to regional newspapers of each prefecture in Kyushu and Okinawa. Special library newspapers are also available, all in addition to national newspapers. For those of you who wish to look into old newspapers, please proceed to the Newspaper Section on the 2nd Floor. 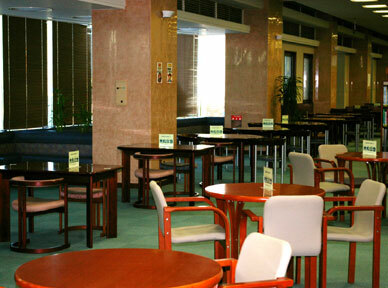 For foreign newspapers please inquire at the International Materials Division, also located on the 2nd floor.